How Will History View Opposition to Gay Rights? As we look back at the struggle for equality of various groups, we find the greatest opposition to progressive steps toward equal rights have nearly always come from Christians. Most of us would now consider standing against civil rights for African Americans or equal pay for women to be unimaginable, but we must accept the reality that the church has very, very often been on the wrong side of social issues. These comments now appear ignorant and despicable, but they reflected the views of many, many Americans. I believe that we have grown progressively closer to the heart of God in regards to equality and treating people with dignity and respect. There are many brave religious leaders who have stood for those who are marginalized, oppressed, and discriminated against. We have a responsibility to learn from the struggles of people like Dr Martin Luther King, William Wilberforce, Clarence Jordan, Mother Theresa, Desmond Tutu, and Dorothy Day, and to learn from the mistakes of past Christians. I am concerned that in the issue of gay rights, the church will once again find itself on the wrong side of social and moral progress; progress that brings us closer to the heart of God. It can be argued that decisions such as this week’s striking down of the Defense of Marriage Act is a cultural endorsement of homosexuality. I believe this is the wrong way to view gay rights. 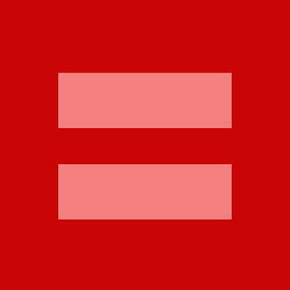 We have the obligation to see all people as deserving of the same dignity and equality. Doesn’t each person deserve to be afforded the same legal rights as every other person? We get ourselves into a lot of trouble when we examine issues divorced from the real people who are involved. I believe when we talk about issues without taking into account the people affected, we move away from the heart of God. The issue of gay rights is not just a topic that can be debated in intellectual and moral terms. It is an issue that involves people: people who contribute to our society, people who have histories, people who have triumphs and hurts, people who want the best for their communities, people who are affected by laws and decisions that are made by others. My hope is that we can be on the side of people–just as we should have been during the Civil Rights Movement, just as we should be in regard to rights for women, and just as we will need to be during future debates about immigration, homelessness, welfare, international aid, and numerous other issues.